Serie A side Lazio have reportedly set their sights on pursuing the services of Matteo Darmian from Manchester United during the winter transfer window. Manchester United are facing a difficult task of luring Spanish left-back Jordi Alba from Barcelona with the Spanish giants reluctant to accept anything less than his release clause. Manchester United will be aiming to secure successive Premier League wins when they make the trip to the English capital to face Chelsea tomorrow. The Red Devils have made an average start to the season and they are currently seven points adrift of league leaders Manchester City. 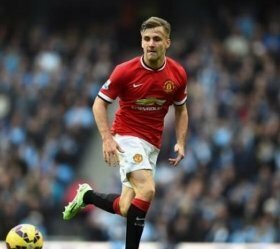 England international Luke Shaw has reportedly ended doubts regarding his club future by penning a fresh five-year contract with Manchester United. Manchester United are reportedly confident of committing French attacker Anthony Martial to a new long-term contract at Old Trafford.